As we are all becoming increasingly clear on what we don’t want — and move toward holding accountable those who are causing us harm — let’s also put creative energy into what we do want. Engaging these two areas of focus in tandem, only makes sense. As it is so often, it just depends on what we focus on. This reminds me of a story told by one of my favourite motivational speakers, Jim Rohn. He said that sometimes things can be such a mess that we try to look out the window and see the spots and streaks on the window, instead of the sun. We might focus on all that is negative and miss that positive energy that is us. Or in this case, the positive energy that is the sun itself. Maybe if we look at this rightly, we will see that with the sun, we can solve the biggest issue on this planet: true energy sustainability. Along with what comes from that: healing our environment. Looking big picture, according to a thesis from the Technical University of Braunschweig, with currently-available panel technology, the entire planet can be powered by solar energy panels comprising a total area of 254km x 254km! Do you see what I see? What we see here is 2 things: A giant problem for utilities and a big solution for the rest of us. Keep in mind, this is actually a loss — for over the time frames noted above, populations (residential) and industry (commercial) have both grown substantially. Then again, so have efficiencies in appliances and industry. Generally speaking, we are all now paying the price for this efficiency and savings. Economic law says less demand, lower prices. Not with utilities, they just make laws that mandate higher prices with governments. As some of you know, electricity is a $2 Trillion/year industry. Many will know also that this lack of demand can only be made up in two ways. Enter the ‘Smart Grid’ and ‘Smart Meters’. ‘It never ends.’ You’re right, it doesn’t — until we end it. 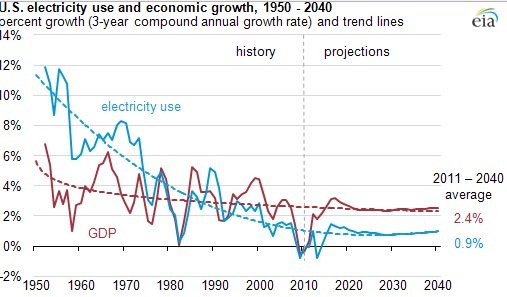 The purpose of touching on this point is that there is absolutely no way that power prices are going to go down. When we consider things like Time Of Use (TOU) pricing that meters allow utilities to further gouge you for (in the name of saving energy of course) then we get a better idea. TOU is simply a scam to charge you the most, when you need the most power. But I thought the whole point of using less was to reduce power costs? Now it is the reason it will be going up? Smart meters are a clever way to green wash the total incompetence of utilities. Common sense tells us there are Zero companies on this planet sitting in board rooms devising ways to get people to use less of their product when market forces are already doing that for them. As you see below, one thing leads to another. This tells us that using a number like 5% yearly rate increases is on the conservative side. When myself and many others have dug into the debt loads, the massive requirements for grid upgrades for things like aging infrastructure (power poles, dams etc. ), the massive pension liabilities for both public and private utilities, interest rate increases moving forward, smart meters needing replacement every 5-7 years and drops in overall demand we certainly see this number as conservative. We fully realize not everyone has the money to do this, some are renters and so on. We want you to know that there are plenty of you out there that are of the means to make this happen. We will leave out the ‘soft metrics’ like freedom, privacy and the rest for that is more or less important depending on who you talk to. When we talk numbers it’s black and white. Before we get going, I want to ask you: do you know where your money is invested? The purpose of this question is that the odds are very high that you have put your money into the very companies that are ‘taxing’ you and others. As in, you are feeding the very beast that you want to defeat. This is always a losing strategy. My ask is that you sit down with whoever is looking after your investments and dig down into just who you are supporting. My tell is I will guarantee you will be shocked. My hope is you find that there is no way that they are a better investment than investing in yourself. I have investigated many Mutual Funds to Pension Funds to look at returns. Most of the funds since inception are struggling to get to that 5% number we displayed above which includes the most popular ‘Balanced’ Funds. Most who have the money right now are older and therefore invested in Bonds, mostly government. As rates rise (and they will), your losses will mount. Also, that rates are so low now that you really aren’t even beating inflation. You need only think: do you want to get stuck holding the bag? Or do you want to stick it to the system, while getting ROI on your solar array? Simply, it is about choice. Are you risk adverse? If you are in bonds, you probably are. Do you consider yourself a ‘risky investment’ I highly doubt it. So what are you waiting for? Depending on your needs and other factors, an average system would cost around $30,000. While these numbers are going down, I do know that many seem to think that this will be cut in half etc. very soon and are waiting to avoid ‘buyers remorse’. However there is not a tonne of room left and also we have been hearing this for years. Of course I welcome higher efficiencies and lower costs over time but things are also possibly nearly as good as they will get for some time as evidenced below. Also, using an investment analogy of ‘invest early, invest often’ 5% means a lot as time goes by. Example below. A 5% increase on a $200/month bill is $210, then $220.50, and so on until in 10 years it’s $310.75. Over 10 years you are now at over $110 MORE per month X12 equalling $1320 and keep in mind your dollars are worth even less over 10 years so even this number is even worse for you in total costs. Also something that costs $30 000 today really costs $35 000+ in 10 years as your purchasing power drops over time. So sure, we can look at anything we have bought vs it’s replacement 10 years later and see it got better… but what did we do for that 10 years? 5% yearly increases compounded AND decreased purchasing power caused by inflation gets to be a very ugly number if you are on the wrong side (still taking power from the utilities) It’s a beautiful portrait if you are on the right side (receiving power from the sun) Effectively, your returns are compounded. Each and every day, your solution gets brighter than the sun itself! Click and Pick. As in click the sell button and Pick up the phone and buy button. Utilities are in a self terminating feedback loop. Until, of course, you decide you don’t want to play that game. The math is there, it varies from region to region, but it’s there. You are there. Let’s make a bull market in ourselves, our planet and with our investments. Invest in you for a change. I think you will like the returns. Actually, I think you will love them! My suggestion is to get on the phone with someone in your area. In the dozen or so Solar Companies I have spoken with I have found them to be top notch in their capacity and will to answer and their helping of me to understand the big picture. Brian, another great topic. I have been seriously looking into this for the past year. 2 difficulties I have come across though are that I am told you need a smart meter (if you want to sell extra power to the grid) and there are no current incentives in BC (there were back some time ago) but there are in Sask and Ont. AB is also thinking of offering an incentive come 2017. Sask offers 20% back to you after the install and Toronto pays 26 cents per KWH you put onto the grid. Without an incentive the upfront cost is pretty high here in BC (I was quoted $57K). And with a 17yr break even point it’s a very long-term investment. I hear you on that. I think the payback time is going to be much shorter knowing where BC Hydro is at. There is a lot of stuff going on with them that is much worse than we are being lead on to. It is not to say your return will be in 5 years or anything. But keep in mind, interest rates are going up so the cost of debt is going to explode for BC Hydro, for the Province and so on. Also, keep in mind just looking at rates is not quite accurate since there are other costs as well as costs they will be forced to introduce moving forward, which will likely be carbon taxes for you to pay for ‘getting power’ which will simply go back to all the worst companies. We have promised billions to IPP’s. 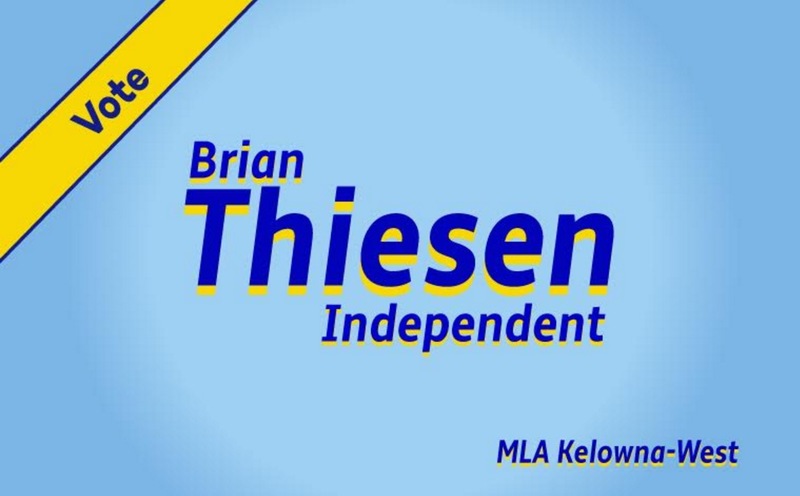 We have the smart grid, we have Site C, we have aging infrastructure, we have bloated BC Hydro pensions. I think they are waiting until after the elections and rates will explode. As said in the piece, it is not for everyone and I get $57 K is not cheap. Maybe check back again and see if it is the same, some costs have come down. I also know there is going to be nothing stopping the USD from rising so the costs in the end may go up. So, if you are of the means to do it, then maybe do it. But there are also other things you can do that your solar provider can help with. Also, (I’ll guess you know this but perhaps some others who will read this do not) is that lifestyle changes are important and it is often that some of these things are what can bring down costs 25-40% on the cost of a system. My only thing is I know for a fact that there are a lot of people with a lot of money out there and prime property to do this, they just have not done it. No blame on them, but the financial picture is better now and it will only get better as we move forward. Even if 4-6% of the people did what it took to make this happen, BC Hydro would be in trouble. Keep in mind also that a lot of people are going in this direction and the issue becomes this will be another problem for BC Hydro since this will continue to drop usage. I see a massive financial issue with Hydro. Some say it will all get privatized, well, if it does, we will end up like Ontario. I believe it really already has been ‘half-privatized’ and that was the purpose of IPP’s to make it look like ‘BC’ Hydro when it is more like ‘Debt for you Hydro’ And “Profits for them Hydro’ at the same time. Any way you slice it, it is a mess and it is going to take solutions. I went off grid. Here is why I walked away from net metering. I read the fine print. Net metering contract says you not only MUST have a smart meter but you also have to first be able to supply 10,000 solar panel watts to your home for personal use only, meaning these first forty 250 watt panels are discounted by hydro and are not treated as part of the net metering system. Personally I don’t know anyone who uses even close to 10,000 watts, but this is what hydro deems to be average usage,for everyone, regardless of family size or size of home, etc. So no rebate will apply to any of the first forty panels. Now you must try to figure out and then consider just how many panels you must also buy, above and beyond the basic no rebate first forty panels, extra panels of an indeterminate number, panels from which you imagine you will be able to get a rebate from the utility. You intend to sink your whole investment into just one oversized component of a solar system, a massive solar array? Okay, so let’s say that hypothetically you buy forty four panels. Hydro will rebate you for the energy generated by exactly four panels. Don;t forget that you will still be paying the utility ever higher fees, a Time Of Use fee, a Rate Rider, Taxes, Delivery Fees, Debt Deferment Fees, Global Adjustment Fees, and just about any other fee they think up next. How much does this further whittle down that 9 cents a kilowatt they pay you for seasonal production from four panels, after you have already invested as much as over $70,000 retail in forty four or more panels. Who is paying who for what now? That means that if the sun does not shine enough, then you will be fined penalty fees for not agreeing to the terms of the utility contract and not funding the running of the grid on your own dime. So….. how attractive does net metering look so far… compared to going off grid? 10,000 watts = forty 250 watt panels. And that is just the cost for panels to run the hydro grid for them. And to make matter worse, no other components one needs to defect and go off grid have even been considered as part of this investment equation at this point. That investment in panels alone,hard earned money thrown out there in exchange for the “privilege” of funning the grid for a tiny pittance you may or may not ever see, that net metering, alone will run you at very least 10 grand plus tax and shipping – and only if you buy panels from a Solar Society at close to wholesale prices of under $200 + on average a 7% fee paid to the society, plus taxes and shipping. And that first ten grand is only assured if you can find a place where you can perhaps get them at a wholesale price and not lose much of that to shipping fees. The price range for middle of the road panels is enormous depending on quality and brand of panels and the source of supply. Figure on paying up to three or four and sometimes even five times as much as wholesale price, per panel, if you buy retail from a solar installer. Each 250 watt polycrystalline panel, depending on quality, can run anywhere from $200 to $1600 – or more. The price further depends on whether or not you are able to find that rare bird called a truly solar literate electrician and if you are also able and willing to work alongside that solar literate electrician to create a DIY solar system … VERSUS …. what most often happens instead, Most people are not about to learn everything about how to install solar. The majority tend to hire a solar installation company who takes them all the way to lock up while providing a turn key system you do not have to lift a finger to get, but must still learn how to use. Solar installer companies tend to charge a serious mark up for each and every solar system component which they alone supply and install, if your hire them. Granted they usually know their stuff, though not always. Just an initial site visit to assess whether or not you can go solar at all can run $1500 or more + tax. It seems as if not much is available in between the do-it-yourself wholesale end and the have-it-all-done-for-you turn key installation. Suppose you later decide to walk away from net metering to go off grid. Well the rather hefty price of buying far too many panels must be set aside, because now you will need to buy a decent inverter to add this “too many panels” investment. And the cost of a battery bank which may only be good for seven to ten years must be factored in, unless you are able to buy the new saltwater Aqion battery stacks good for up to 20 years. Trouble is, you already spent your savings on net metering panels. So let’s pretend you wanted nothing better than to net meter and you dream of defraying the cost of your investment by doing so. If you are tied into a net metering contract you are literally forbidden to and cannot and must not use your own source of power whenever hydro loses power, period. Hard rule: Any outage must take you out with it. They go down, you have agreed to sink with them, so you go down too. because no battery bank or inverter is “allowed”. And that means that for a far lower investment at this point you are free to leave, and can sing bye bye hydro. NO strings, and you spent far less and end up independent instead of shackled to hydro and the dirty smart grid. Net metering is as big a scam as is a smart meter. As always the game is skewed in favour of the house, not the customer. Net metering is a way for utilities to get private people to invest in running the grid for the utility, so that the utility can mark up the power you generate, play the middle man both ways, and then sell your solar generated energy to your neighbour, while at the same time charging more to everyone and while telling your neighbour that you, their neighbour, the one with all those solar panels on their roof or in their yard, are no different than anyone who has kept an analogue. You are why you are being subsidized by the rest of the customers and that this is just one more reason why everyone’s rates have to go up. Net metering is like pouring money into a bucket with a big hole in the bottom of it. Go off grid, instead, if you can. You will never regret the sense of freedom. And the only power outage you will ever have to face again is one you bring on yourself, something only done by remaining oblivious to the responsibilities which go with being your very own power contractor learning how to manage your very own own usage. Thanks for this analysis Brian. One of our customers, an older couple, had $25K invested for years and only managed to get 1-2% annually on this which worked out $250-500/year return. They were paying $1500/year in power bills to BC Hydro. For $25K they were able to purchase a solar array and now pay nothing. My company Sweet Spot Solar serves all of western Canada. There you go folks. Not the first time I heard this story. If you were in GIC’s this whole time and not solar, in a nutshell you would have lost. And I can guarantee that moving forward, if you own bonds, you are going to get crushed for that ‘safe’ investment. My favourite line is ‘pay nothing’ which means? Gain everything! Time to put money back in your pocket for the good guys and take it out of the hands of the bad guys! GotSolar.ca standing by! Here in Kelowna B.C. We would love to help you get rid of your power bill. Call today, to get us working for you. Yes, call these guys if you are in the area, they will get you set-up! Also remember, the money you speak of needs to be of the ‘food’ kind and keep trade open with friends. Paper money and electric funds are going to go away. Then what will you have to barter with? It is a rigged system, one that you & I can’t win in EVER. Electric money will be taking over, this will be to prevent bank runs and also makes sure everything you buy can be tracked for data purposes, which is where the real money is at. The bond market is about to implode, people have no idea what is coming, this will crush real estate also and of course, the banks will ask for a bailout. We have sub-prime auto, student debt and a Top and Pop in real estate. Anyone who bought in the last 5 years is in big trouble. Chinese outflows are being cut off and interest rates are exploding higher. Pension funds will get the worst of it. Thank you so very much for your posts. I greatly appreciate the research that you have done into all of these issues that are coming to light. I have followed along with you and your protocol for the Smart Meters for several years; done all of the legal paperwork, postal requirements, signage on my analogue meter, etc. Today was very discouraging however, as I was confronted with two men who arrived at my house (I was alarmed to them by my dogs who, if they had not barked, I probably would not have known they were there). When I asked what they were doing, they said, “We are contracted from BC Hydro and are coming to replace your meter.” They were from AT Main. I said that they were not going to replace my meter. They then told me that we would be billed $60 because they were not able to complete the work order. They then turned around and left. Thought I would give you this information with hopes that it helps the situation. I am strongly against Smart Meters!! With all this attention on solar … I would like to put attention on something. 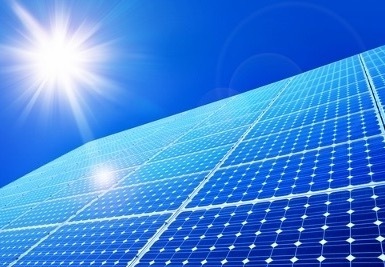 The amount of energy required to make one solar panel is huge. I do not recall but I believe it is like 7-10 years before you break even with the energy used to make them. Solar panels are not such a panacea once you factor in this way of thinking. Next, you need to factor in the consumables. Batteries die after so many years and need to be replaced, thus pushing further the break even point. Chargers/inverters also break down and may add to your costs. There was also the issue that solar panels lose effectiveness with age. This was true of solar panels over a decade ago. I do not know if the newer panels have circumvented this limitation. Factor in all these when you are doing your research. Besides all this …. I have a few more things to share. Years ago, there was a blip on the news about a solar panel technology developed in Israel that had a huge jump in efficiency as compared to the technology available at that time. After this announcement, I never heard of that technology again. Using a large Fresnel lens, you can multiply the output of your solar panel. Worth looking into. We should be busting the paradigm of how we think about generating electricity, when we can educate and open our minds to many alternative methods that are far superior, greener and almost “Free” (oh no! i did not say those dirty words!) “Energy”. There is a direct correlation to the suppression of UFO technologies and anti-gravity and “free energy”. There have been huge advances in LENR cold fusion technologies … that have been replicated and verified. How come we do not hear about them? Now to bust some balls…. David Martin challenges us to think out of the box about energy. How about Hutchison’s crystal batteries that constantly charge themselves? Since the US Dollar is tied to oil, we are kept addicted to that form of energy, resulting in all these endless wars of aggression being committed under the guise of “Humanitarian Interventions” (Libya, Iraq, Afghanistan, and many countries in Africa. All of which are nothing other than another ploy to control the worlds oil supply (and many other important resources). Yes, I am aware of what you are saying. I also know that there are a lot of gasses that are worse than ‘co2’ (If we believe all this stuff). The battery situation is also not the most ideal but some things have changed on both sides. This article is not claim solar is a panacea per se. But neither is Site C, IPP contracts and all the rest that it wrong with BC Hydro (and there is a lot) The data centres alone to store the data from smart meters, the lines to transport the power and so on. Now, we see BC Hydro wants to electrify the LNG fields and this will also be used in the carbon schemes as a subsidy for falling demand. So when we also factor in the amount of energy needed to produce the money to pay for soaring power bills that is key also. As in, how much work (used and produced energy) is required to pay the same bill today vs tommorrow? Or, how much ‘energy’ in money and other resources are we giving to the very companies that are virtually enslaving us via investing in them vs. ourselves? These breakthroughs you spoke of are happening. Why? 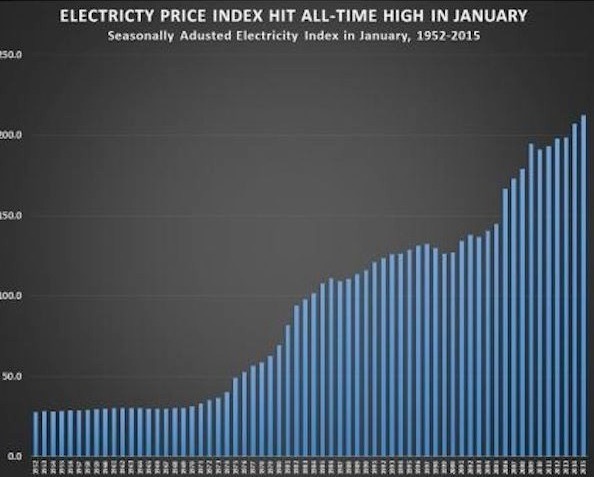 Because even when it was $2/watt, people were doing solar, now it is a fraction of that price. That is innovation over time. So think of the model T vs where we are now. Or steam engine to going into space. These things take time, mistakes, learning, capital, innovation and much more to get to where they are. I know about the 7 wars angle. This is why I call BUll____ whenever these countries talk about ‘saving the planet’ with carbon taxes and in that aspect I would ask… what costs more, solar panels or dropping bombs on people. This is what I have touched on in many articles. Or, Site C vs solar panels? There are so many claims regarding free energy devices, but they are yet to come to the surface and show themselves… for whatever reason, I don’t know. Maybe we aren’t ‘ready’ for it, maybe they are being covered up (most likely) But I, like you I am sure have seen many of these things and I am yet to see someone be able to make it a go. I have heard many people I know with money in the bank and the right properties to do solar sit there, keep it invested in oil companies (which they claim they are against) and not in themselves or solar because solar is not ‘free energy’ Really? Neither is oil, Site C and so on. So yes our focus has to change, top to bottom. We are about to bankrupt ourselves with useless wind ‘power’ just like Ontario and environmentalist whacko’s are all for it, because they don’t care about the math, they are just scared the sky is falling and we all have to believe what they do, without thinking or reason, just fear. And that is the key. The payback on solar depends on where you are and what you look at. I know lots of solar people go to people’s houses and the first thing is not ‘how much you need’ but how much, with a small amount of effort, you might be able to reduce already. Why people use their dryers still is beyond me. Yet people who say they hate hydro do this all the time ‘because they don’t have time’ but they have time to work to pay their dryer bill??? So it is about change and yes, looking at things differently. I am confident that there are going to be improvements along the way. But not so much to the point where it is ‘wait forever until it is perfect’ because that is mostly just people who can’t decide on anything or make those changes. But just imagine we all got 10-20% better in our power use or in using solar. These people would be forced to start thinking. Some useless tax scheme which will be a kickback to these players will not work. It is we who have to decide right now where we want to go. And when we decide we want to just keep paying that bill (even if we have a means not to) then it is our acceptance of what is going on. 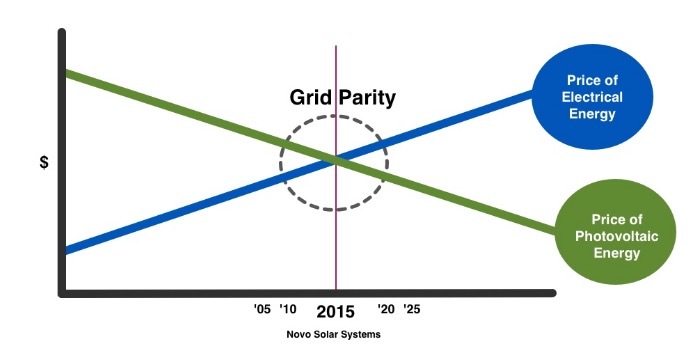 The grid is in a terminating feedback loop like all else government. And how much energy will be needed when the bond market implodes? So once all factors are considered, solar is ‘a’ solution, but I don’t think ‘the’ solution. We are ALWAYS The first step in solving problems. Believing that we can. Looking at what we can do, where we are. I for one believe that if people just gardened a bit more instead of driving to grocery store or mowing their lawn, literally this entire world would change. It is much simpler than we think. But often enough, people don’t want to put in the work, they are too busy on their phones or watching useless TV. ALL things break down, including massive dams, power poles, transmissions lines and governments. Panels last a very long time, they don’t need to have some perfect tilt either among other things. There is community solar also. The markets, in the end, will decide what is ‘right’ and ‘wrong’ as they always do.